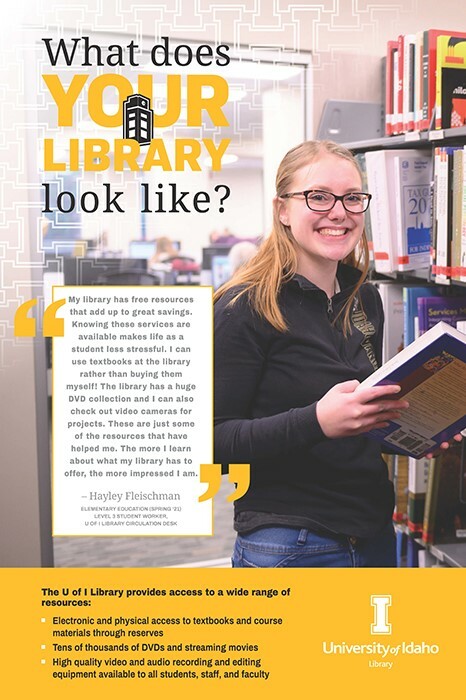 The My Library campaign features timely, real-life library stories highlighting University of Idaho students and little-known library services by asking, "What does your library look like?" We hope sharing real student experiences will help reveal solutions to your educational needs and expand your perception of the possibilities at the library! The U of I Library is known mainly for books and studying but that perception is not the whole story. The library is a foundational powerhouse of information, ideas, tools, services, spaces, and more, available to EVERY U of I student. Browse our featured stories, share your story, or learn more below. My Library has a variety of free resources that really add up to great savings. Knowing these services are available when I need them makes life as a student less stressful. I can use textbooks at the library rather than buying them myself! The library has a huge DVD collection I can use and I can check out video cameras for projects. These are just some of the resources that have helped me. The more I learn about what my library has to offer, the more impressed I am. 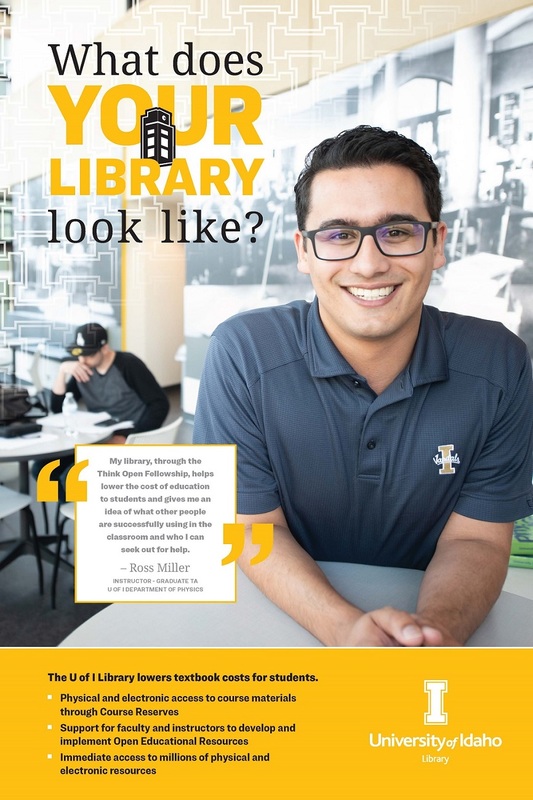 My library, through the Think Open Fellowship, helps lower the cost of education to students and gives me an idea of what other people are successfully using in the classroom and who I can seek out for help. Read our feature interview with Ross about his experience bringing Open Access to UI! 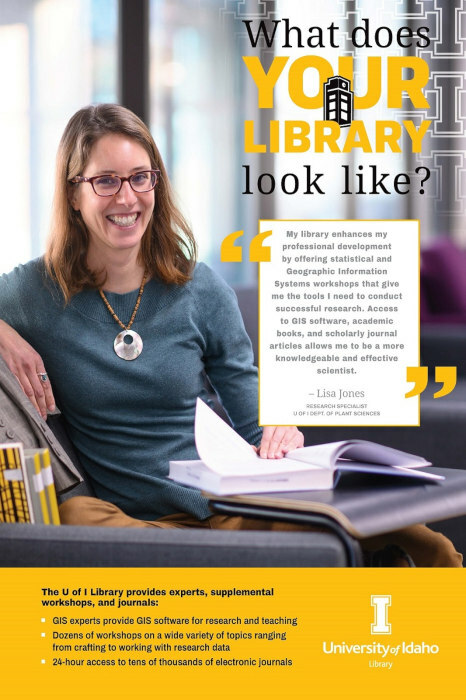 My library enhances my professional development by offering statistical and Geographic Information Systems workshops that give me the tools I need to conduct successful research. Access to GIS software, academic books, and scholarly journal articles allows me to be a more knowledgeable and effective scientist. 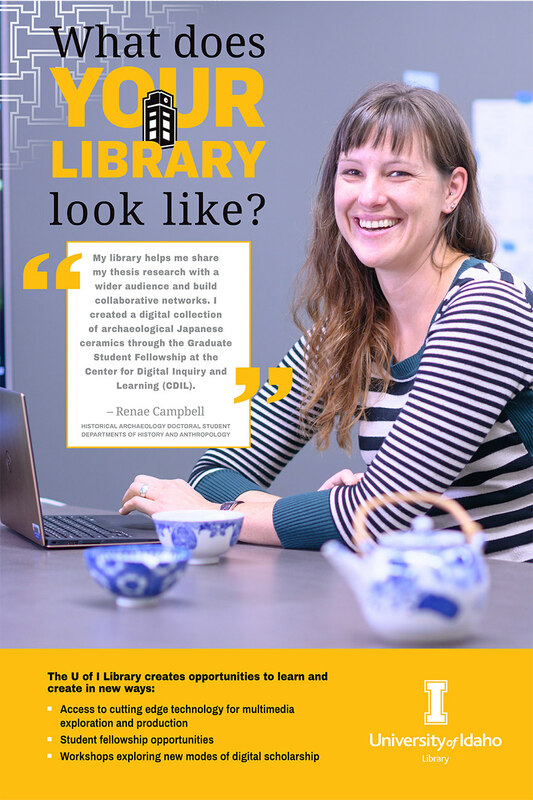 My library helps me share my thesis research with a wider audience and build collaborative networks. I created a digital collection of archaeological Japanese ceramics through the Graduate Student Fellowship at the Center for Digital Inquiry and Learning (CDIL).